Less than a week before the US presidential election, special advisers Donald Trump held a detailed plan in which they intend to give their support to Israel. However, they do not mention in any point in the document they will abort the nuclear deal signed between Iran and Western powers. It has been an exhilarating election cycle. Approximately seven months ago, we were blessed to have been tapped by Donald J. Trump to be his top advisors with respect to the State of Israel. We have been fortunate to work with a talented team of people and have put together the below positions. Each of these positions have been discussed with Mr. Trump and the Trump campaign, and most have been stated, in one form or another, by Mr. Trump in various interviews or speeches given by him or on his social media accounts. For those of you who are true friends of the State of Israel, and for those of you who believe that the State of Israel and the United States of America have an unbreakable friendship, we urge you to read the below. We would like to express our gratitude to those individuals who have helped us over the past few months — we truly appreciate your efforts, friendship and guidance. We would also like to express our gratitude to our friend, a great friend of the State of Israel, Donald J. Trump, who gave us the tremendous opportunity to serve in this capacity. May God bless the United States of America and the State of Israel. · The unbreakable bond between the United States and Israel is based upon shared values of democracy, freedom of speech, respect for minorities, cherishing life, and the opportunity for all citizens to pursue their dreams. · Israel is the state of the Jewish people, who have lived in that land for 3,500 years. The State of Israel was founded with courage and determination by great men and women against enormous odds and is an inspiration to people everywhere who value freedom and human dignity. 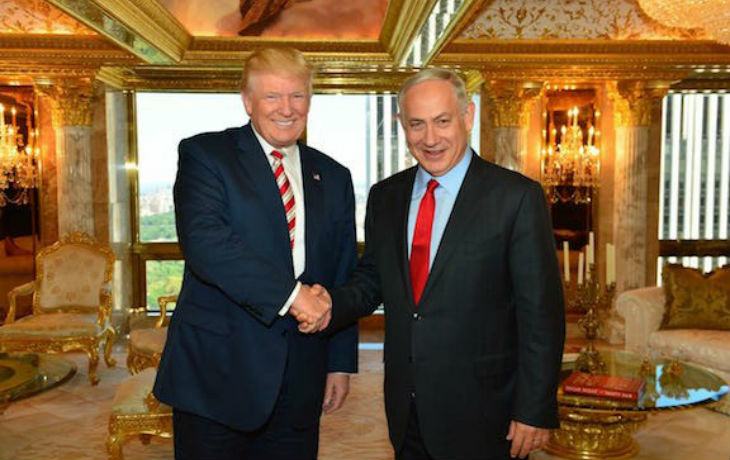 · Israel is a staunch ally of the U.S. and a key partner in the global war against Islamic jihadism. Military cooperation and coordination between Israel and the U.S. must continue to grow. · The American people value our close friendship and alliance with Israel — culturally, religiously, and politically. While other nations have required U.S. troops to defend them, Israelis have always defended their own country by themselves and only ask for military equipment assistance and diplomatic support to do so. The U.S. does not need to nation-build in Israel or send troops to defend Israel. · The Memorandum of Understanding signed by the American and Israeli Governments is a good first step, but there is much more to be done. A Trump Administration will ensure that Israel receives maximum military, strategic and tactical cooperation from the United States, and the MOU will not limit the support that we give. Further, Congress will not be limited to give support greater than that provided by the MOU if it chooses to do so. Israel and the United States benefit tremendously from what each country brings to the table — the relationship is a two way street. 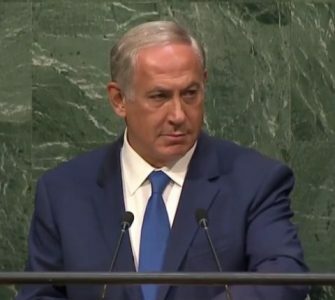 · The U.S. should veto any United Nations votes that unfairly single out Israel and will work in international institutions and forums, including in our relations with the European Union, to oppose efforts to delegitimize Israel, impose discriminatory double standards against Israel, or to impose special labeling requirements on Israeli products or boycotts on Israeli goods. · The U.S. should cut off funds for the UN Human Rights Council, a body dominated by countries presently run by dictatorships that seems solely devoted to slandering the Jewish State. UNESCO’s attempt to disconnect the State of Israel from Jerusalem is a one-sided attempt to ignore Israel’s 3,000-year bond to its capital city, and is further evidence of the enormous anti-Israel bias of the United Nations. 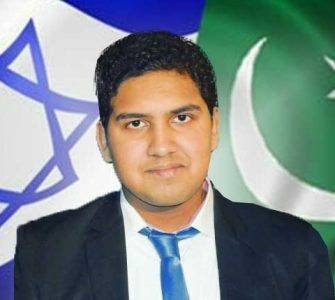 · The U.S. should view the effort to boycott, divest from, and sanction (BDS) Israel as inherently anti-Semitic and take strong measures, both diplomatic and legislative, to thwart actions that are intended to limit commercial relations with Israel, or persons or entities doing business in Israeli areas, in a discriminatory manner. The BDS movement is just another attempt by the Palestinians to avoid having to commit to a peaceful co-existence with Israel. The false notion that Israel is an occupier should be rejected. · The Trump administration will ask the Justice Department to investigate coordinated attempts on college campuses to intimidate students who support Israel. · A two-state solution between Israel and the Palestinians appears impossible as long as the Palestinians are unwilling to renounce violence against Israel or recognize Israel’s right to exist as a Jewish state. Additionally, the Palestinians are divided between PA rule in the West Bank and Hamas rule in Gaza so there is not a united Palestinian people who could control a second state. Hamas is a US-designated terrorist organization that actively seeks Israel’s destruction. We will seek to assist the Israelis and the Palestinians in reaching a comprehensive and lasting peace, to be freely and fairly negotiated between those living in the region. 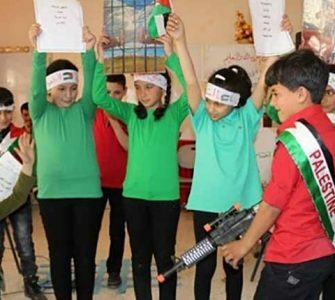 · The Palestinian leadership, including the PA, has undermined any chance for peace with Israel by raising generations of Palestinian children on an educational program of hatred of Israel and Jews. The larger Palestinian society is regularly taught such hatred on Palestinian television, in the Palestinian press, in entertainment media, and in political and religious communications. The two major Palestinian political parties — Hamas and Fatah — regularly promote anti-Semitism and jihad. · The U.S. cannot support the creation of a new state where terrorism is financially incentivized, terrorists are celebrated by political parties and government institutions, and the corrupt diversion of foreign aid is rampant. The U.S. should not support the creation of a state that forbids the presence of Christian or Jewish citizens, or that discriminates against people on the basis of religion. · The U.S. should support direct negotiations between Israel and the Palestinians without preconditions, and will oppose all Palestinian, European and other efforts to bypass direct negotiations between parties in favor of an imposed settlement. Any solutions imposed on Israel by outside parties including by the United Nations Security Council, should be opposed. We support Israel’s right and obligation to defend itself against terror attacks upon its people and against alternative forms of warfare being waged upon it legally, economically, culturally, and otherwise. · Israel’s maintenance of defensible borders that preserve peace and promote stability in the region is a necessity. Pressure should not be put on Israel to withdraw to borders that make attacks and conflict more likely. 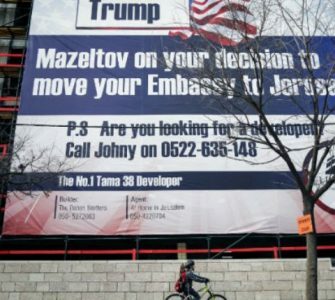 · The U.S. will recognize Jerusalem as the eternal and indivisible capital of the Jewish state and Mr. Trump’s Administration will move the U.S. embassy to Jerusalem. · Despite the Iran Nuclear deal in 2015, the U.S. State Department recently designated Iran, yet again, as the leading state sponsor of terrorism — putting the Middle East particularly, but the whole world at risk by financing, arming, and training terrorist groups operating around the world including Hamas, Hezbollah, and forces loyal to Syrian President Bashar al-Assad. The U.S. must counteract Iran’s ongoing violations of the Joint Comprehensive Plan of Action regarding Iran’s quest for nuclear weapons and their noncompliance with past and present sanctions, as well as the agreements they signed, and implement tough, new sanctions when needed to protect the world and Iran’s neighbors from its continuing nuclear and non-nuclear threats.